Health is the secret of a uniform, green lawn. Aerate your lawn every year for a green carpet free from unsightly weeds. 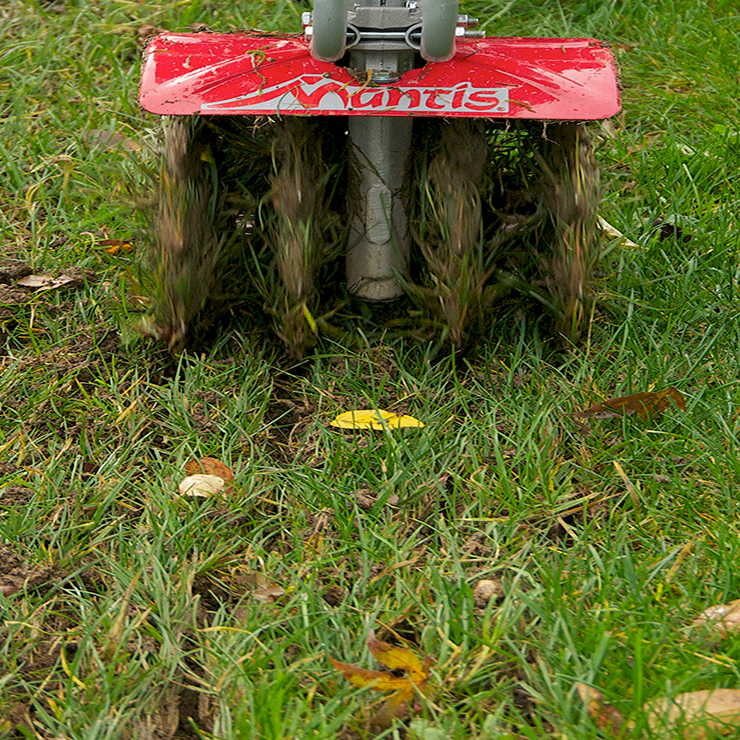 The Mantis lawn aerator cuts thousands of tiny slits in your lawn, encouraging beneficial micro-organisms in the soil. It is the single most important measure for a healthy, green lawn! 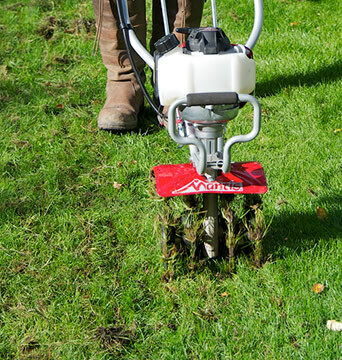 The lawn aerator allows oxygen, nutrients and water to penetrate to the soil below. The grass roots can grow down deeper, making your lawn more resistant to hot, dry spells. 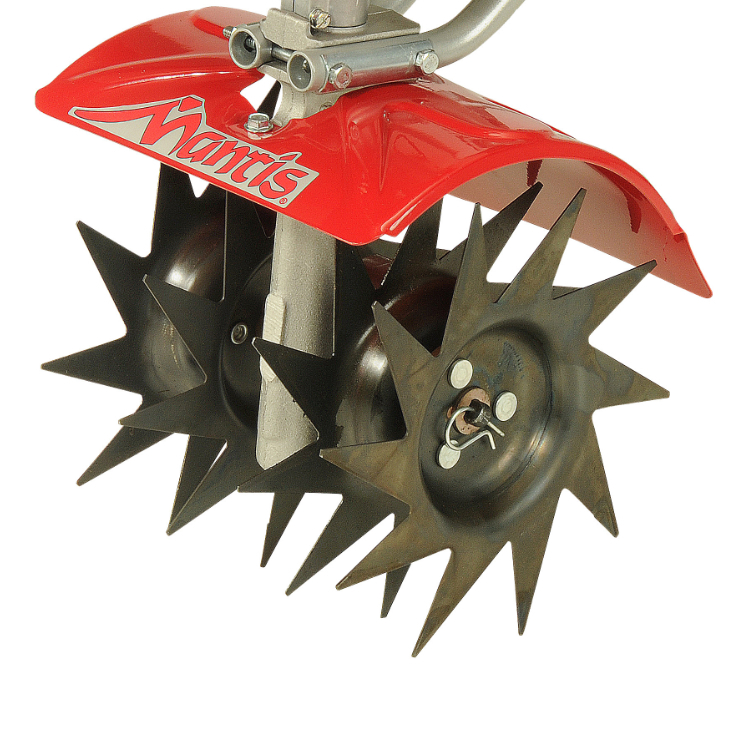 This Mantis lawn aerator is not suitable for the Mantis Deluxe XP Tiller. 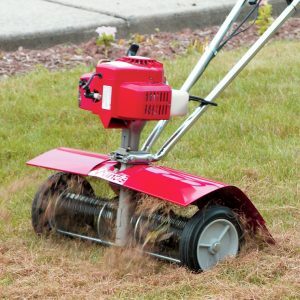 For the XP Lawn Aerator Attachment click here.